View the latest edition in a new, innovative turn-page digital format. Functions for taking full advantage of it -- including printing, sharing, and downloading -- are available via the icons at the right end of the top toolbar. 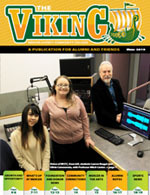 The Viking, a publication for alumni and friends of Mercer County Community College, is published by MCCC's Marketing and Public Information Office, room 114 of the Administration building (AD) on the West Windsor Campus. 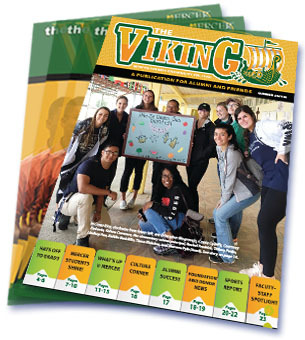 The Viking welcomes your feedback and suggestions.